Best Pet Urine Remover: How to get Rid of Pee Smell From Carpet! We have two adorable fur babies that we love and consider part of the family. Unfortunately, one of them is getting very old and the other is just starting out in life so that means we’ve had accidents on our carpet. I looked for a natural pet urine remover that actually worked and found out how to get rid of pee smell from our carpet. I’ll show you how easy it is! Last year we had this gorgeous hypoallergenic carpet installed in our bedrooms. We also have a 13-year-old dog and we got a puppy which meant that my precious new carpet had some accidents on it from my dogs. My husband was complaining that despite my spot cleaning our bedroom smelled like pet urine. I knew I had to figure out how to get rid of the pee smell in our carpet before my husband decided to sell the dogs (kidding…kind of). I knew I wanted a natural pet urine remover that would actually work but be free of harmful chemicals. 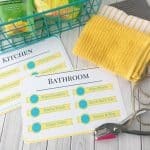 We do have four kids and two dogs after all, so it had to be completely safe and I’m just not a fan of chemicals in my home when I can avoid them. Since I had already done spot cleanings as accidents happened we opted to clean the entire carpet. First, we vacuumed the carpet and then we used our carpet cleaner and washed the entire carpet. Do not use the OdorKlenz solution in your carpet cleaner! Then we diluted the OdorKlenz Pet Urine Eliminator in a 4 parts water to 1 part solution ratio. Then we sprayed the entire carpet with the solution and allowed it to soak in and then dry. Then once the carpet was completely dry we vacuumed it up. The end result was a clean room with gorgeous carpets that no longer had the lingering odor of pet urine. I’m not sure where I missed spots or if my spot treatments with other products just didn’t work well, but either way, the carpet smelled before. Now there is no more odor and it smells as good as it looks! My husband is happy and the dogs are staying 😉 haha. OdorKlenz is meant to be used as a spot cleaner as accidents happen. Once your carpets get back to smelling clean and good then it’s time to keep OdorKlenz on hand for any future accidents. To spot clean accidents you’ll want to first vacuum up any loose debris from the area you’ll be treating. Then blot the accident with a wet towel. Next, soak the area with clean, warm water. Rinse your towel and soak up any excess water. 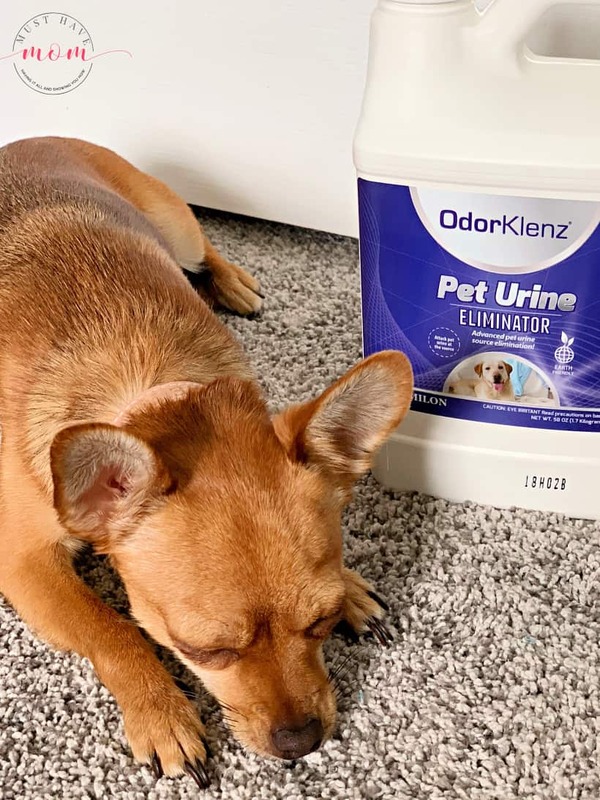 Pour OdorKlenz Pet Urine Eliminator on the damp spot. Work it into the carpet to cover the spot. Then pour fresh, clean water over the treated area and apply pressure to it by walking on it. Allow it to sit for at least ten minutes before removing. Then use a clean absorbent towel to soak up the excess water. Allow it to fully dry and then vacuum the area again. If you have a carpet cleaner like we do then you can also use that to spot clean areas. First, vacuum up any loose debris from the area that will be treated. Wet the area to be treated with clean, warm water. Using your vacuum or carpet extractor wet extraction capabilities, clean the area 2-3 times, leaving the area damp. Pour OdorKlenz Pet Urine Eliminator on the treatment area. Spread the OdorKlenz Pet Urine Eliminator on the treatment area. 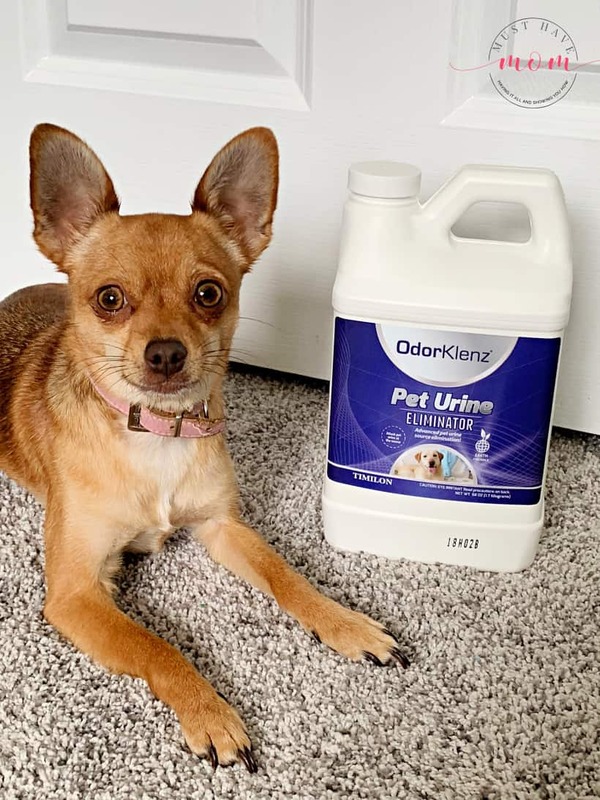 Spread the OdorKlenz Pet Urine Eliminator into the area working it deeply into the carpet or covering surface completely. Allow to sit for at least ten minutes and then use the carpet extractor to remove any excess water. Allow to dry and then vacuum again. We are so pleased with how well OdorKlenz worked for us. We had tried many different methods and that lingering smell still remained. Thanks to this natural product we no longer have that issue and we can now treat spots correctly the first time! 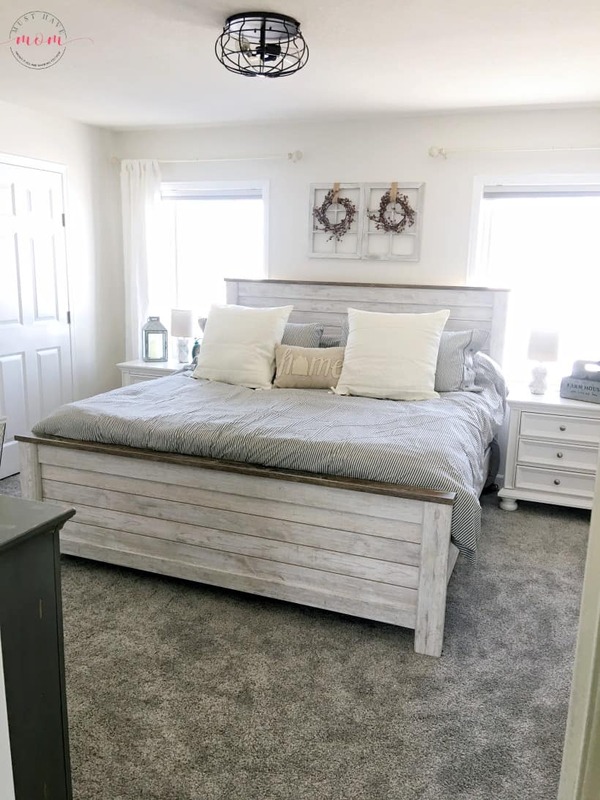 If you plan on doing an entire carpet like we did then I recommend buying the large jug and having a second one on hand for any accidents that may occur later. Grab the OdorKlenz discount code below and you’ll save 15% on your entire purchase! I have secured a 15% discount on your OdorKlenz purchase for you so you can try it for less! This exclusive coupon code is only for my readers. Use OdorKlenz coupon code MHM15 at checkout to save 15% off your entire order. 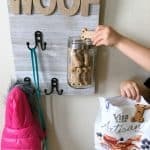 Ultimate Guide To Bringing Home Your New Puppy! OMG this is great. I have to get some for my mother in law actually. Her dog is getting up there in age and has accidents more often these days. Yes, it’s so hard when they get older. They can’t help it! My older dog is like that as well. I wish I’d had this when I was potty training my two little guys. We kept the carpet clean, but it was a major task. This would have been a great help! My sister is getting a puppy next week and was worried about the pee smell. I’m totally sending her the link to this post because now she has a solution! Oh yes this would be perfect for her. Thanks for sharing it with her! this is great. My carpets need a good cleaning after my cat threw up this morning on them. I definitely need to try this to get rid of the odor left behind. If it works on urine it’s maybe it will work on cat smell too. Oh yes, I would definitely have it on hand for stuff like that! Last year, my dog peed on like every rug I owned. I ended up getting rid of them because she was really ruining them. Oh how frustrating! Yes, this works on rugs as well as carpets. My dog is older now and is starting to have some issues with holding his pee. I need to get this! Do they make it for cat urine? The previous tenants of the house we now live in had cats who peed on the carpeting. I have tried everything to get rid of the smell. The Pet Urine Eliminator works great for removing odors from cat urine too. Yes, this works on dog or cat urine! Ugh what a project huh? Definitely give this a try. We’re pet lovers so this could definitely come in handy. I wish I had known about it when our dog was alive. She had a lot of incontinence towards the end. Oh that’s so hard. I’m sorry for your loss! I may have to give this a try. When we had a female cat, (no longer do as she wouldn’t get along with our other cats) she peed on the carpet a few times and this would have been helpful. Of course it’s in my daughters room, and sometimes it still has the smell to it. I’ll have to try this out. Yes! This will definitely get rid of that lingering stink that is so hard to get out. This is the problem with those darn cute little puppies! Thank you for the great tips! I can’t wait to get this! My dogs have accidents once in a while! Thanks for sharing it! Yes! I hope you love it as much as I do. We no longer have a furry friend but I will pass along to my mom. This is so needed at her house! i wish I would have known about this when we were potty training. I used so many different things. Maybe I can still use it! How precious is your pup – what a sweetheart! We have a cat who is an angel when it comes to using her box, but there have been 2-3 times when she has peed out of her box to let us know she wasn’t feeling well. 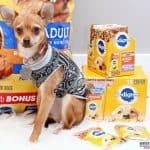 The pet urine products can be soooo variable in how well they work, & I haven’t found a “keeper” brand yet. This looks like one I should get! Yes, it works for cats too! Thanks so much for your kind comment about my pup! Wonderful suggestions! Thank you for sharing!